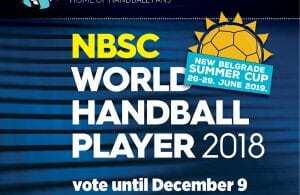 Handball-Planet.com is pleased to announced the results of Voting Contest for the World’s Best Young Handball Player 2013/2014. Spanish youngstar from RK Vardar Skopje, Alex Dujshebaev has got the highest number of points based on cumulative votes of the 8 members of the international Jury and Handball-Planet.com visitors. 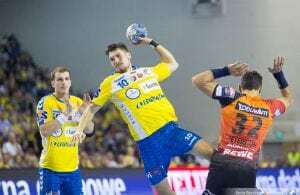 His fantastic performance in RK Vardar’s VELUX EHF CL campaign this season and main role in the Spanish junior squad last summer at WCh 2013 in BIH, were the biggest reasons why handball community elected him for the prestigious award. In three weeks of voting period 26.193 votes for 21 nominated players have shown the outstanding interest for our project, who has the goal to present the future stars of our sport. Handball-Planet team want to thank all media, teams, TOP players, coaches and handball fans worlwide for making our project so big this year! Next Story → Alex Dujshebaev for HP about award: I am very proud!